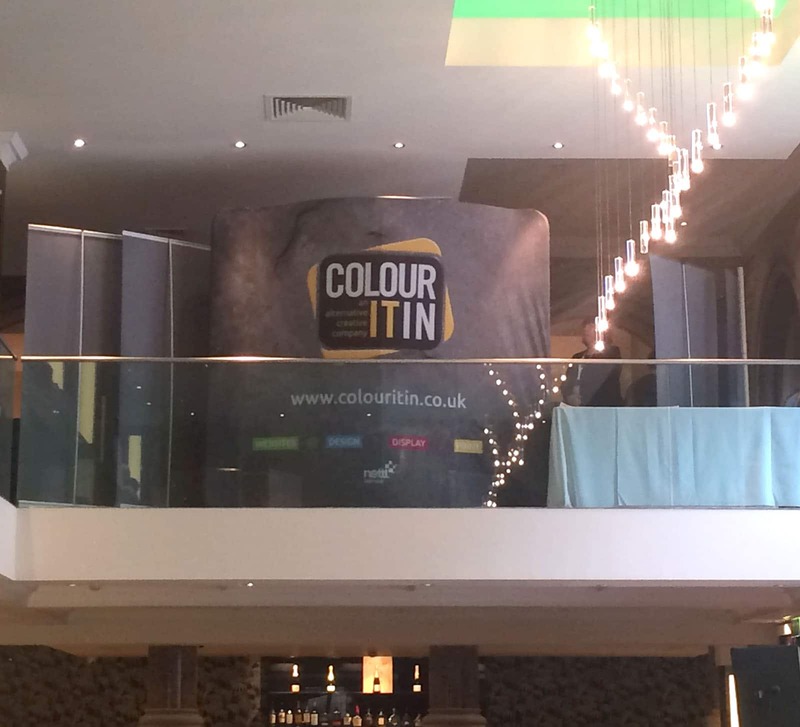 Colour It In recently attended the Go-Live event in Leeds and witnessed at first hand the benefits of having an exhibition stand with an image on both sides. This event in particular was split over an auditorium for the conference and mezzanine exhibition above. At the start of the event we were the only stand that was visible to the delegates during the presentations, but by the end of the day other exhibitors were having to turn their roller banners around to get noticed – which meant their stand looked blank in the exhibition space! 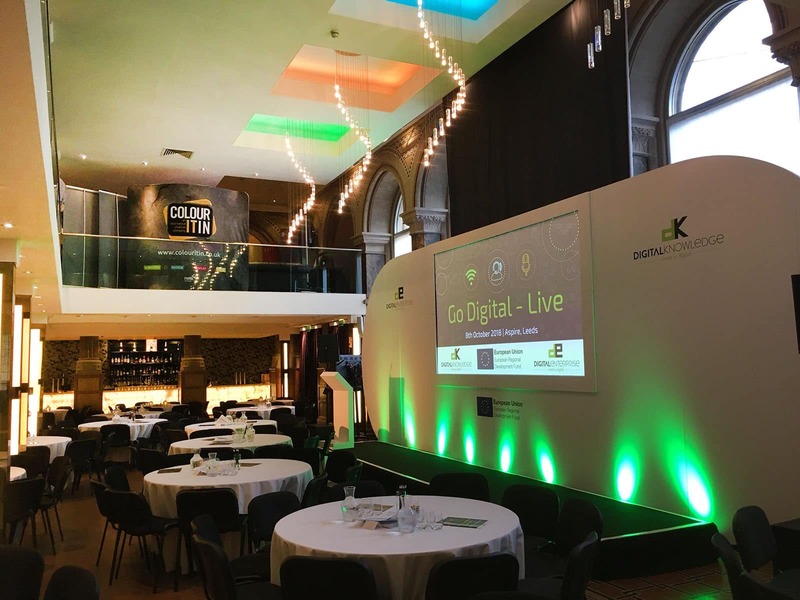 This is a photo of our curved backwall from the entrance to the venue – it actually shows the stands of 3 companies – you just can’t see who the other two are! 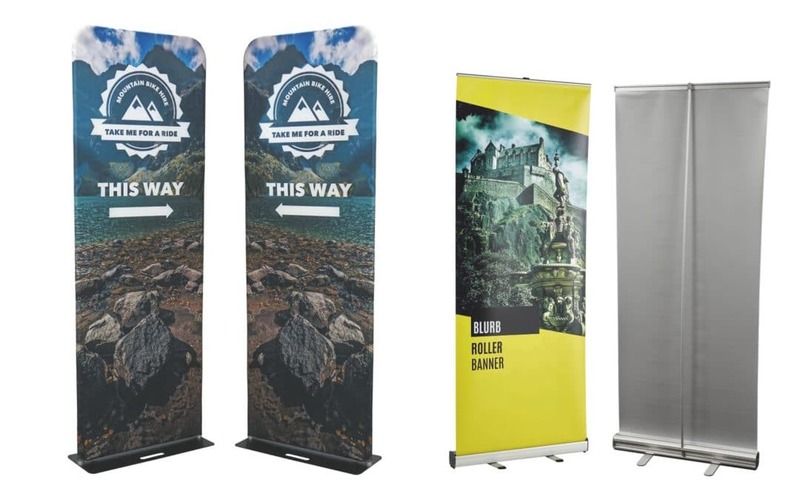 We have a great offer* on our TOTEM Pop Up Display, it’s 800mm wide and 2.3m high which is taller than most roller banners, but the best thing is, the price includes having an image on both sides… and they don’t have to be the same artwork! £149.00 each + vat …that’s £40.00 OFF the list price. 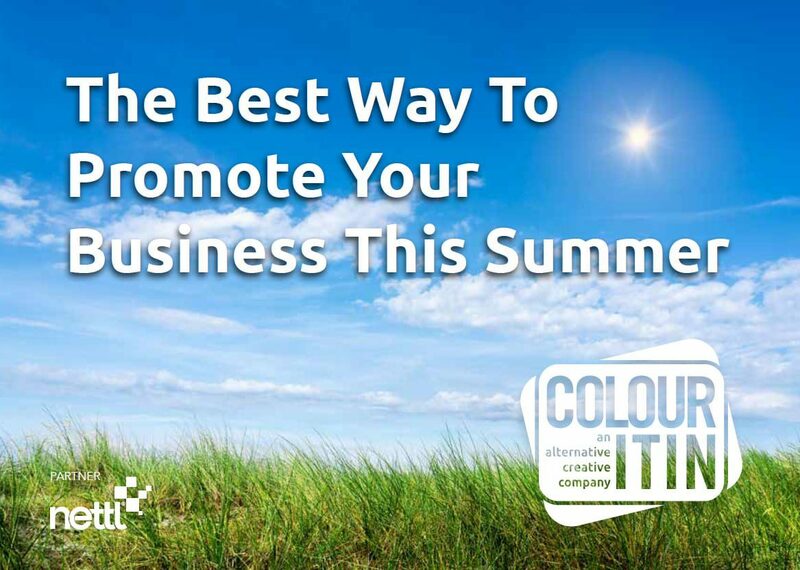 Call us now on 01765 570072 or email info@colouritin.co.co.uk to place your order.